Bring in the New Year with a sensational double header at Duff’s Garage as Cherie’s Blues Highway presents the Ben Rice Colossal Group and Sister Mercy together for the first time. Each band will be performing complete individual sets and then come together on stage for a party bringing in 2017 with a perfect celebration. Ben Rice has been tearing up this country and Europe with his blues performances, working with people like Karen Lovely, Lisa Mann, or with his own bands. A two-time International Blues Challenge finalist and the recipient of two 2016 Muddy Awards, Ben Rice is recognized for his adept skills on electric, bottleneck and cigar box guitars as well as his sensational vocals. Sister Mercy won the 2015 Cascade Blues Association’s Journey To Memphis competition and represented the region at the International Blues Challenge in 2016 where they advanced to the semi-final round. 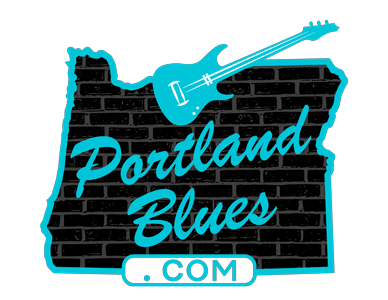 Nominated for the Best New Act Muddy Award in 2015, the band is fronted by the incredible vocal skills of April Brown and its members have deep roots within the Portland blues community. Duff’s Garage is located at 2530 NE 82nd Avenue. The night will kick off at 9:00 pm with Sister Mercy, and the Ben Rice Colossal Group at 10:30 pm. Tickets may be purchased in advance through Tickettomato.com for $12.00 for a reserved seat or $10.00 for general admission. Admission at the door day of show will only be for general admission at $10.00, reserved seating only available online in advance.